We all want to save on energy costs. Not only is there the obvious financial benefit to cutting back on electricity use, there’s an environmental benefit too. Not to mention, if and when you do choose to sell your home, the fact that it is energy efficient can be a huge draw card to potential buyers. There are a number of ways that you can improve your home and make it more efficient in the long run. Here, we go over 5 affordable and easily actionable improvements that will help to save you energy this Summer. Weather stripping is a process that involves sealing up all those small cracks and drafts in your home where the outside meets the inside. Although they might seem innocuous enough, all those gaps, like those around your doors and windows, can end up costing you a lot more than you might imagine. In the Summer, hot air from outside permeates the cool space you have inside, and in the Winter it’s cold drafts making their way into your nicely warmed home. Because of this, your cooling and heating systems have to work much harder to maintain the temperature you want. Sealing your home properly with weather stripping can mean significant savings. The type of material you’ll use to seal your house will depend on where the drafts are and how big the crack or gap is. Having a properly insulated home means that your summertime cooling costs will be lower than in an uninsulated or poorly-insulated house. 20% to a whopping 80% in cooling costs. Low flow water fixtures are exactly as the name suggests, they’re additions you add to your faucets to make water flow at a slower rate. And less water use means more savings. As an added bonus, these fixtures are cheap to purchase and install by yourself. 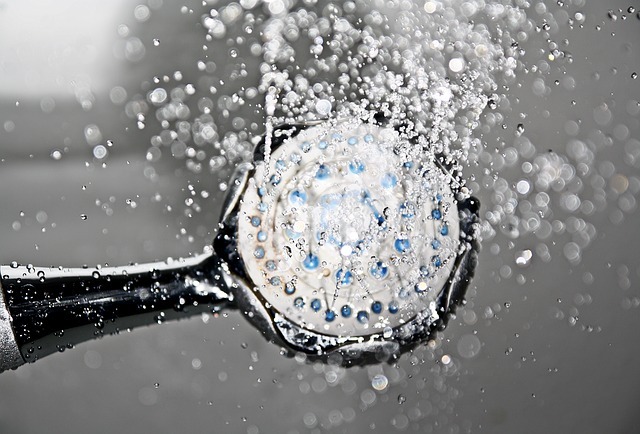 In your bathrooms, consider installing aerated low flow shower heads. These special fixtures give you the feeling that you’re showering in a high flow but actually conserve a lot of water; while a regular shower head uses roughly 4 gallons of water per minute, an aerated low-flow version uses around just half of that. Ceiling fans circulate air around your home and are typically far more energy efficient than air conditioners are. While ceiling fans alone may not be able to cool your home to the temperature you’d like it to be during a really hot Summer, using your fans alongside your air conditioners means that you’ll be able to take some of the pressure off your AC units. Fans are also ideal for those days when it’s a little bit too hot for no cooling system but not hot enough for the air conditioner to be running. The cost to buy and install ceiling fans ranges depending on the type of fan you’re after and whether your home has the necessary electrical wiring already in place. When buying fans, look for those that have a CFM (cubic feet per minute) rate of at least 75, these are the most efficient when it comes to air flow. Tankless water heaters save you money because they only heat water as and when they need to. This is unlike traditional tank water heaters which constantly heat and keep hot, a larger volume of water. While the initial outlay for a tankless water heater, ranging from $1,500 - $2,000 for a single-point model, is a bit more than some of the other energy efficiency measures we’ve looked at on this list, the savings are significant. According to the Department of Energy, tankless water heaters are 24% - 34% more efficient than storage heater units in homes that use 41 gallons of water or less per day. Taking steps to make your home more energy efficient has obvious financial perks which go a long way toward taking the sting out of the initial outlay. While some of the above investments are pricier than others, all are, in the long run, affordable ways to make improve your home’s efficiency and save you money on energy costs this Summer.